I took this image while in Nakhon Ratchasima on one of my spiritual journeys. It was at the temple of Luang Phor Toh called Wat Luang Phor Toh if in Thai. This was a wax image of him in the meditation position. 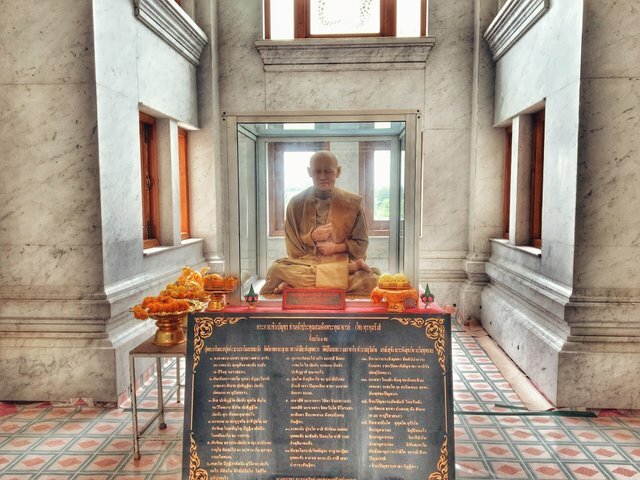 This wax image was located in the main hall where there's a 20 ft image of the infamous monk of miracles.